If I could choose to live anywhere in the world, Ireland would be right up at the top of the list. 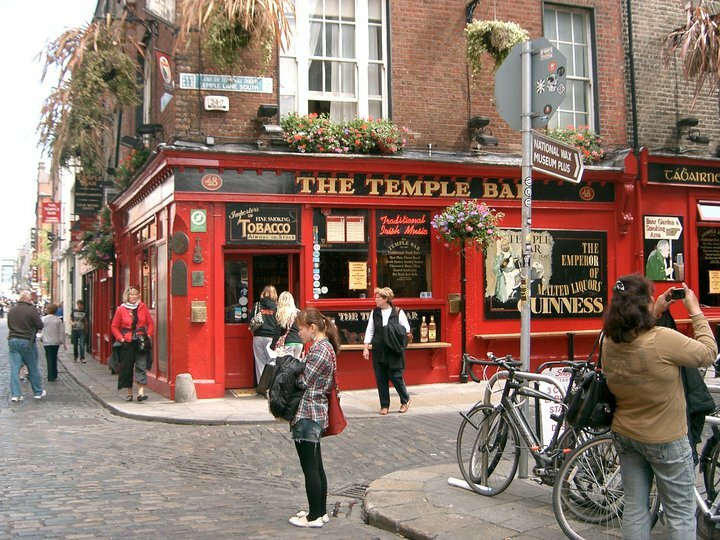 I was lucky enough to spend ten days in the Emerald Isle back in 2010 as part of an accelerated study abroad program at my alma mater DeSales University, and I found myself falling head over heels in love with the country of my heritage. I walked streets lined with candy-colored buildings, explored ancient and historical sites, and shared a pint or two with the locals. Never had I experienced a place so peaceful yet vibrant, old yet modern, tragic yet full of of joy, nor had I ever been somewhere that looked exactly like all the pictures I looked at over the years. It was a place that made feel welcome, made me feel at home, and awakened my creativity. It really is true what they say. Ireland truly possesses a magic that is all its own. While my next adventure in Ireland may be a couple of years off, I can still get a daily dose of the my favorite country in the world with a wide array of Irish bloggers I have discovered over the years. (Thanks Google and Pinterest!) So, if you’re planning a trip or simply dream of going one day, here are a few great Irish lifestyle and beauty blogs you should definitely check out.